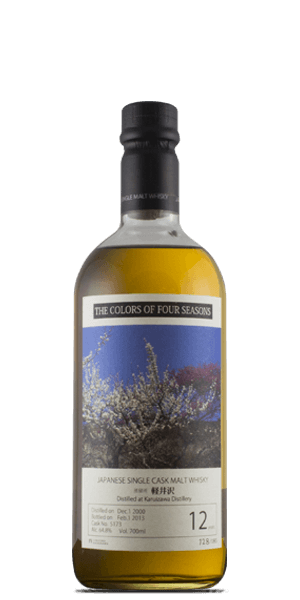 What does Karuizawa 12 Year Old The Colors of Four Seasons taste like? The Flavor Spiral™ shows the most common flavors that you'll taste in Karuizawa 12 Year Old The Colors of Four Seasons and gives you a chance to have a taste of it before actually tasting it. It is an outstanding, Japanese Single Malt Whisky having a delicate birth with notes of grain, dried fruit & oak; while a smoky life adds notes of dark chocolate, creamy vanilla; that leads to a long & spicy death with notes of apple, sherry & mint.